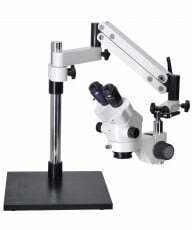 Omano Microscopes are the popular house brand of Microscope.com. 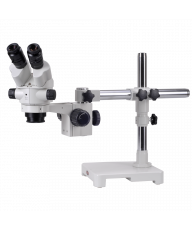 Manufactured in China since 1998, the essence of Omano Microscopes is to provide good quality optics for everyday use at an affordable price. The microscopes are manufactured under ISO 9001 guidelines, undergo rigorous QC checks in the US and, unlike many microscopes, carry a lifetime limited warranty as testament to their reliability. As a result, they have proved enduringly popular with industrial, educational, clinical and an eclectic range of other customers from NASA to Nursery schools. In 2011, Omano introduced a line of industrial magnifiers that once again redefine quality/value standards. 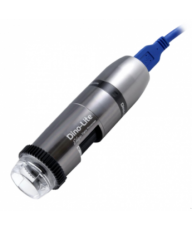 Dino-Lite digital USB microscopes are a relatively recent addition to the Omano product line, and have proven very popular with our customers. Compact, powerful and reliable, the Dino-Lite handheld digital microscope product line features crisp, affordable magnification from 10x up to 400x in a broad range of models. Available in USB or TV/AVI output, the Dino-Lite series is designed for individuals, schools, governments and wide-ranging industrial applications such as pcb inspection, quality control, law enforcement and health sciences. Euromex have been manufacturing microscopes in Holland since 1966. With a large design Lab, they have focused on intelligent design that achieves flawless optics but without the cost normally associated with such quality. For example, NeoLED™ is an innovative illumination solution that actually improves the resolution of the microscope. The result of applying optical technology to lED, NeoLED™ employs a single high efficiency LED chip that actually doubles the intensity of the light. Among its many advantages, NeoLED™ offers comparable light to 30W halogen but with significantly more power efficient 3W energy consumption and with a lifespan of 50,000 hours - more than 30 times that of halogen. Euromex have sold over 1,000,000 microscopes throughout over 80 countries with all microscopes being supported for at least 20 years. Euromex is also ISO 9001:2008 certified. Meiji Techno is a Japanese brand of high quality microscopes. Famous for its wide range of microscopes and accessories, Meiji has a strong presence in industrial and educational markets. More recently, the company has successfully broadened into advanced laboratory applications. All Meiji Techno microscopes are supported by Lifetime Limited Warranties. Motic is a major Chinese manufacturer of compound, stereo and digital microscopes as well as digital microscope cameras.. The company is owned by Speed Fair Co., Ltd, a Hong Kong based company, which also owns National Optical and Swift Microscopes. The company now employs more than 2,500 employees and all manufacturing is certified ISO9001 and ISO14000. Motic offers an increasingly high quality range of microscopes designed for the higher education and laboratory markets. Moticam cameras have established a loyal following for their robust design combined with value pricing. . All microscopes are checked for quality in the US and carry lifetime limited warranties. National Optical is the sister brand to Motic and Swift Microscopes and is also owned by Hong Kong based Speed Fair Co., Ltd. With more of an educational focus on elementary through middle school, National Optical is one of the largest wholesale distributors of microscopes made in China. The company supplies compound, stereo, specialty and some digital microscopes. 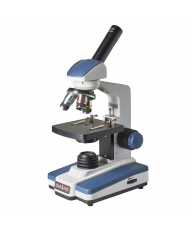 All microscopes are checked for quality in the US and carry lifetime limited warranties. Jenoptik ProgRes range of digital microscope cameras are relatively recent additions to the microscopy market, but with a long tradition that stems from their parent company, JENOPTIK AG. German-made in the famous optics town of Jena, these USB and Firewire microscope cameras are designed for high end life science and industrial applications where color resolution is particularly important. They provide a cost efficient solution for customers who have uncompromising quality requirements. OptixCam digital microscope cameras are the house brand of digital microscope cameras designed for The Microscope Store, LLC. 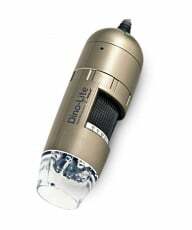 They include a range of good value, general purpose microscope cameras for image capture and documentation as well as more sophisticated CCD cameras for laboratory research. The cameras are renowned for excellent color resolution which is unusual at their price levels. They also feature professional industrial design, robust measuring software and high speed live video imaging. They carry 2 year warranties.